Hopefully lots of you will have seen the 3D profile images being showcased on Eurosport throughout the Tour de France coverage this year. I have now massively improved the way you can get hold of your own 3D profile images of rides, runs or segments to make it much easier for you (as well as me) to attach to your Strava activities or share on social media from your phone, tablet or PC/Mac. 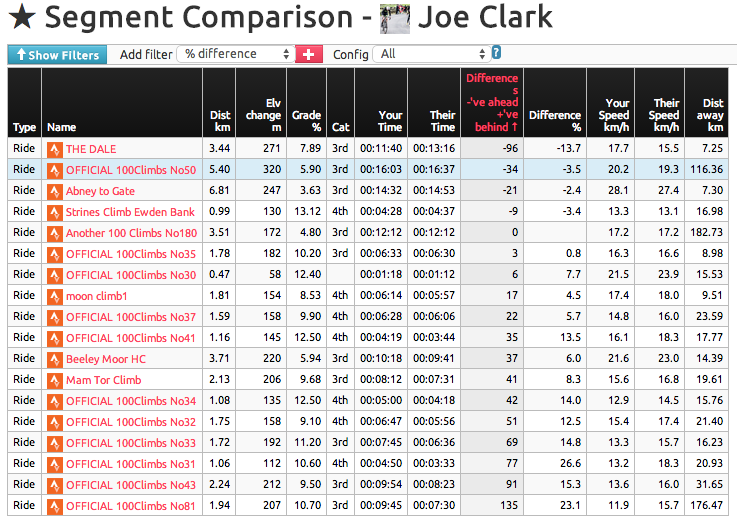 The athlete, segment comparison page on VeloViewer used to be limited to just allow you to compare your best efforts against other athletes who used VeloViewer. Well that is no longer the case! The updated version of the comparison page now allows you to compare yourself against any other athlete on Strava on your favourite segments. This is something I’d been wanting to do for ages and I’ve even surprised myself with how well they’ve turned out! 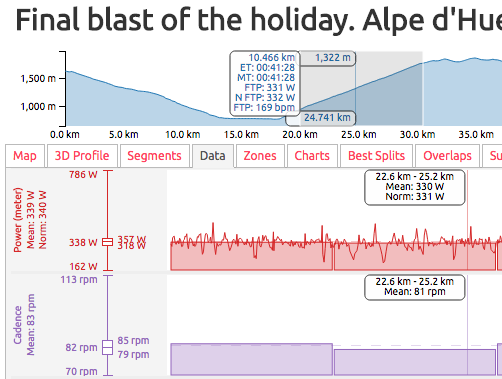 The majority of elevation profiles you see around the cycling world look like they were drawn in the late 1990’s so it was time to bring them up to date and make the most of the latest technologies to allow you to interact with them. So what type of segments do you tend to ride? OK, this isn’t really going to tell you that perfectly but it might give you some indication. As you can see the segments around here in Sheffield tend to be either climbs or descents, but that’s why I live here! 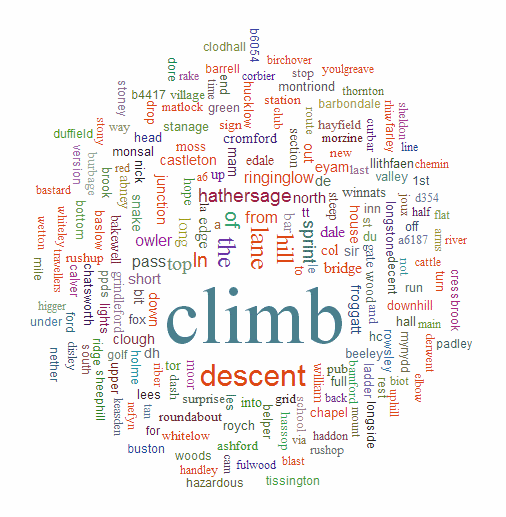 Check out your own Strava segment word cloud on your new Word Cloud page. Update: Now has Ride option too! Not quite sure why I didn’t have this column in here from the start to be honest but its there now: the number of tries you’ve had on each segment, and of course you can order by it. In order to populate the data for this column you must press the “Check for new segments” button on the Update page. Until then you will just see a list of question marks. 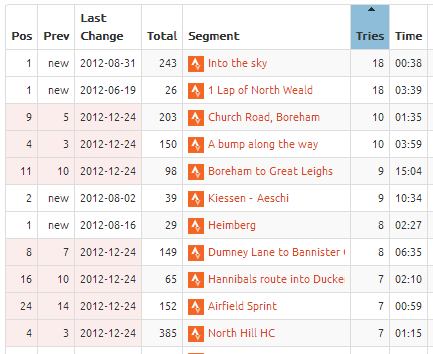 You will also see the number of tries in the History tab header on the Segment Details page. 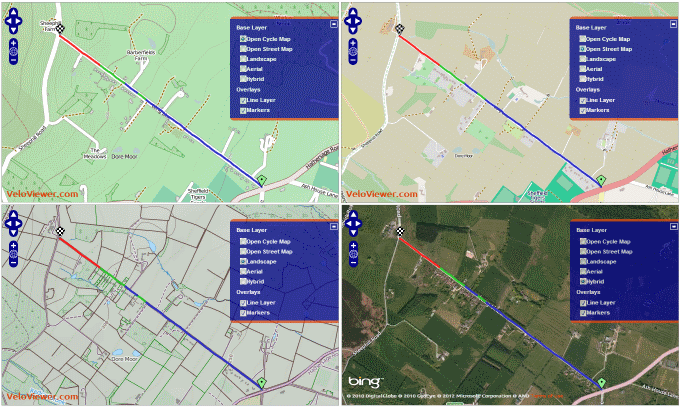 Introducing Velo Flow – animating Strava rides! 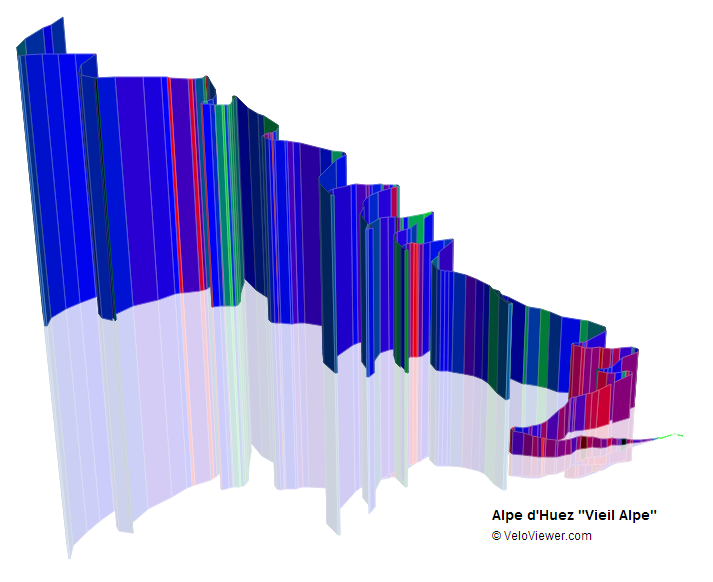 Posted on November 26, 2012 | by Ben Lowe | 12 Comments on Introducing Velo Flow – animating Strava rides! UPDATE – Due to changes in the Strava API increasing user’s data privacy VeloFlow is no longer able to run. After coming across a great visualisation last week that animated GPS traces of staff commuting to Loughborough University I was inspired to try something similar with Strava rides and I’m very pleased with the result. Find out how to use Velo Flow here. Your leaderboard positions on Strava segments can be a bit of a badge of honour but the significance of each of those positions can vary wildly. If you are 6th placed out of 3000 riders then that is pretty good going but 1st place out of just 2 riders is less so. 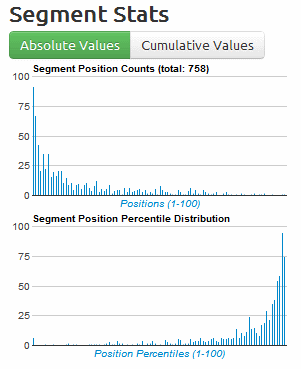 In steps an suggestion from a forum to include a position percentile column and corresponding graphs, a few minutes later and the first incarnation of the position percentile appeared.